1 polar | This Blog Rules | Why go elsewhere? 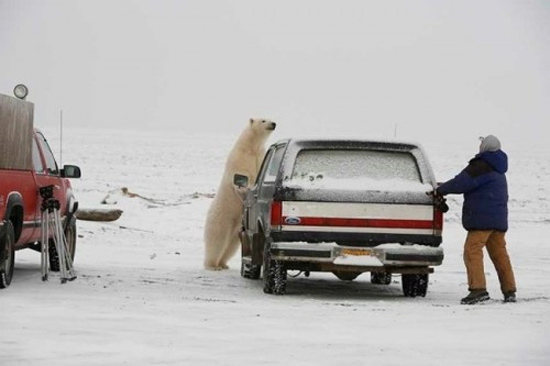 The polar bear is the most dangerous of all. While his normal food is seal, they have known for centuries to attack humans. Until the introduction of firearms, the indigenous peoples of the north have lived in fear of them.Many early explorers have told horror stories of attacks by polar bears. These bears are known to stalk and hunt humans.